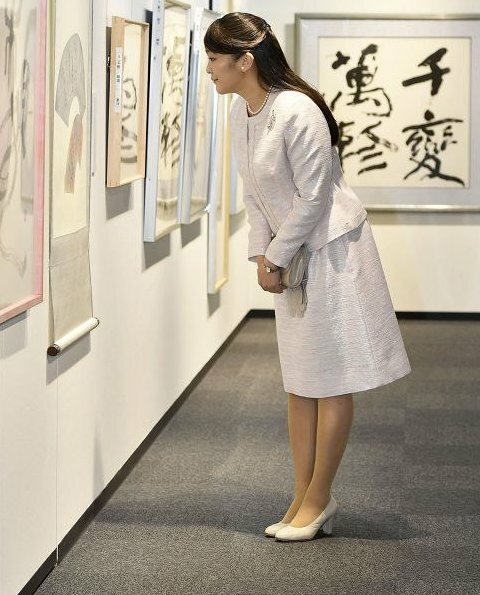 On February 9, 2018, the eldest granddaughter of Emperor Akihito, Japanese Princess Mako visited 49th contemporary women's calligraphy exhibition which is exhibited in Ginza Central Museum in Tokyo. 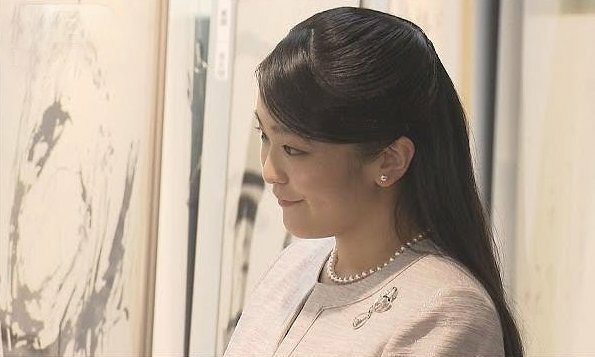 That visit of Princess Mako was the first official duty of the Princess after Imperial Household Agency announced on February 6 that wedding of Princess Mako and her fiance Kei Komuro is postponed to 2020. Any word on why wedding was postponed for 2 years? 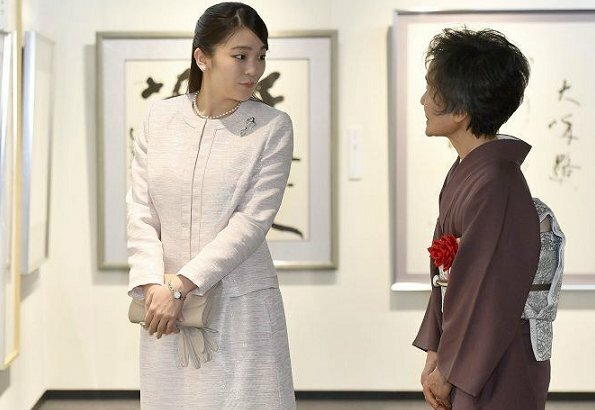 The Imperial Household Agency in a bid to convince the public that the wedding postponement has been decided by the princess and her fiancé has forced her to issue a ridiculous announcement in which she declares that both herself and Mr. Komuro are "immature". Immature at twenty six? Is anyone going to believe this nonsense or will everybody suspect that there is something fishy? I red the fiancee´s mother has financial troubles and possible scandal with her late boyfriend and some reasonable reliable sources tell that might be the problem. Or the second line of explanation is that Mako and her family are waiting the new generation of Emperor to possibly change the rules not to kick away these princesses who marry commoners from Japanese Imperial family, that need of course law from parliament also. There is very limited number of male heir apparent left. Next emperor will be Naruhito (57), he has only one daughter. Makos father Akishino (52) has one son Hisahito (11). So there is only one young male in line left. In Japan there are no nobility left so female princesses have no way to marry any aristocratic males. Thank you for the information, Diane and Sakurahime. Agree that 26 isn't in the "too young" category for marriage. I guess we'll never know full details but it does seem odd. I hope she will be happy either way, although sometimes it seems not possible with the hidden forces at work on these women in this family. Thanks, Blondini. Very interesting. I really do hope that the law is changed about removing women who marry from the official royal family. I hope that the reason for the delay is to allow time for a rule change so that she can keep her status. But if she is personally having any second thoughts then better now than later. We all wish her well. I hope too the law will change, otherwise the whole Japanese Imperial Family will disappear. It could be that her younger sister is enrolled in a foreign univerity, als princess Mako herself was. 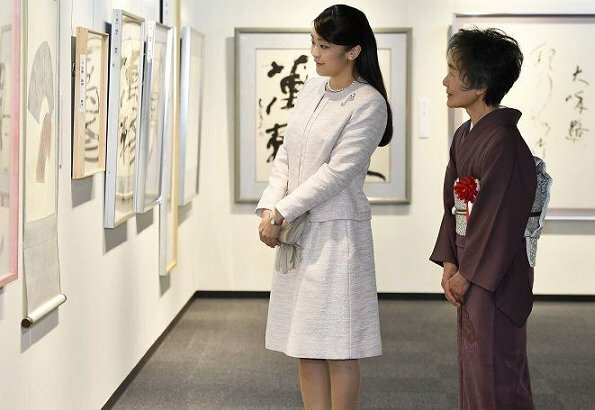 Till the younger princess graduates and comes back to Japan, Princess Mako can't marry and leave the imperial family with a shortage of adult ladies to attend to official duties. Princess Aiko is still too young to take charge. There are at least five other adult princesses in Japan, we saw them at the New Year's ceremonies. In fact, I think it is more likely that the wedding will be canceled than take place in 2 years. They are not too young, they have known each other for several years and a wedding does not take three years to prepare/arrange even in Japan. I wish a happy life to Princess Mako whatever decision she and her family will make from now on. It’s a shame that she will lose her title, she is such a great asset to the imperial family. Why does her mother in law have too pay for the wedding? Mother-in-law to pay weddings? The scandal was that mother-in-law got money to educate Mako´s fiancee from her boyfriend, a gift money says she, but the boyfriend says it was a loan and wants now the money back. What mother-in-law can not do when she is very short of money. There were side line about distant grandpa who have cut terms to daughter and grand son. I think the only things mother-in-law or the boy herself need to pay are traditional betrothal party gifts given to bride´s family.